Don’t tell me it’s impossible. Don’t tell me it’ll never happen. I know I can do it. I know it’s possible. And I know I can make anything happen if I put my mind to it. For years, I’ve been trained to think the best of myself. To think that I am amazing. I was told by my Primary School that we were good kids, that we had the world ahead of us. I was told by my High School that we were the leaders of tomorrow; that we were great; that we could succeed just like the 50 years of graduates before us. I was told by my first University that we were a Sandstone and Group of 8 – that we founded education in Australia. No-one has ever put down my ability to achieve. I wonder how much life would be different if I had grown up in a regional, rural or remote community. I wonder as to the quality of support I would have received if I went to a school 100km or 1000km from a major city, rather than a mere 10km. I wonder what difference the peer networks would have made to my education, for I have heard of schools in the country where only 15% turn up on a daily basis. And I wonder why there is such a disparity. This afternoon, I had the pleasure of workshopping with some of Australia’s next leaders in Rural Health. There were future Doctors, Nurses, Physiotherapists, Occupational Therapists, Pharmacists and more sitting around a table discussing Aboriginal and Torres Strait Islander (ATSI) Health in Rural Areas. We started out with a goal. We didn’t want airy-fairy abstract ideas. We wanted actionable ideas with people who could implement them. We were going to think SMART (Specific, Measurable, Achieveable, Realistic and Timely). By way of background, the native people in Australia have suffered poorer health, education and living outcomes since white settlement (colonisation or invasion, depending on the text you read) over 200 years ago. The widening gap in what should be an equitable, developed, rich and well-serviced country has lead to a number of interventions. In Australia, “intervention” is a dirty word (research NT Intervention if you’re interested). In Australia, the big, white, male-dominated, white-collar bureaucrats in Canberra try to implement top-down solutions to problems in remote ATSI communities. Frequently, the consequences are disastrous. This is not necessarily because of bad intentions but from poor planning and lack of sufficient or effective consultation with communities that do not necessarily have the belief in themselves to adequately negotiate. Recent reports suggest that some $3.5b spent on improving ATSI outcomes each year is funnelled into ineffective programs. While some programs improve living conditions, it will not be until Indigenous communities are empowered that the gap will begin to close. 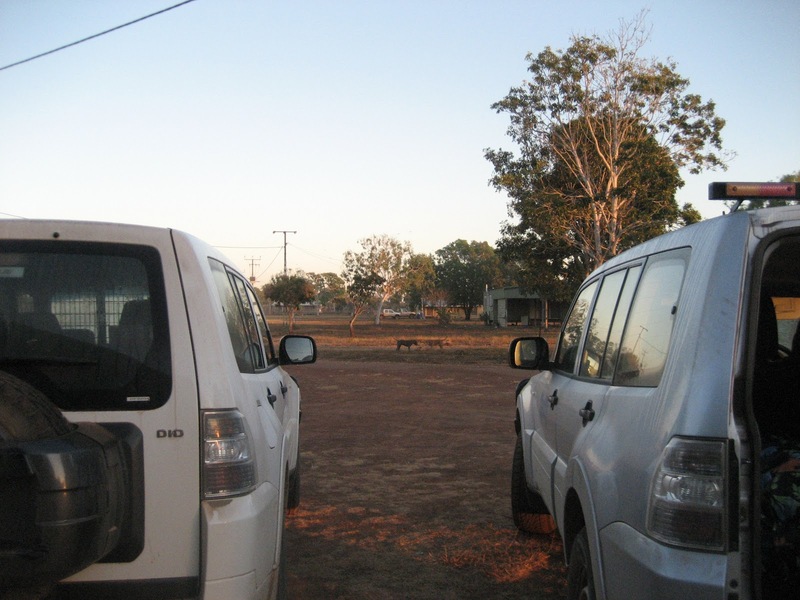 Many remote communities in which there are high proportions of ATSI residents will have a rotation of well-meaning doctors, nurses and allied health professionals come out to them in an effort to provide care. These well-meaning professionals could sometimes be described as health tourists – they stay for a little bit and then go back to the city feeling very proud that they’ve done their bit. They can tick off another of life’s little boxes. There are, of course, many great professionals who go out there with great intentions and stay. There are those who intend to stay and then can’t cope with a significantly different lifestyle. Regardless of intentions, many remote communities end up with a rotation of unknown professions visiting them. Continuity of care becomes almost non-existent and it is the patient and their community who suffer most. One very bright mind gave us a solution that could be enacted almost immediately. How about if we enlisted four or five engaged, excited professionals from each field to remain with a community over time. How about if one doctor (for example) stayed for three months, and another for three months after that. How about if each of these Doctors throughout the year had discussions about their patients. If they were an actual team for their community. And how about if the rotation of each specialty didn’t happen at the same time but instead staggered throughout the year so that the locals didn’t feel completely disengaged from their health services each November (for example) when change over happened. We started talking about what we could do in the long term to improve patient outcomes. We soon realised that health is never, ever isolated from other aspects of life. Education, resources, quality of life and access to support are all very important factors in making for happy, prosperous populations. It is so important that these communities do not feel neglected and a system where financial input is per head works well in the cities, but it fails immensely in these remote communities where an overall greater expenditure may be required in order to provide the same infrastructure. We have to be willing to make that investment. What can Australia do for its native peoples? Firstly, an overarching national body for policies and governance in health. We’re not just talking doctors. Or nurses. We mean everyone in the system. We mean the students and the professionals, the city and the remote. We need something to join together the vast number of medical organisations across this country. We need support and action. Improvements are happening in this area. We need to make sure they are not strangled by red tape. We really need to make sure that bureaucracy doesn’t get in the way of action. We need to get all of Australia excited about the rural environment and we need to do it at a young age. People of reproductive age, that is between 20 and 44, have a greater preponderance for living in the major cities. Nearly two-thirds of our population reside in the capital cities alone (ABS). That is a majority of our nation that grows up and works in the city, often with very little understanding of regional, rural or remote areas. In fact, most young people in the cities have no appreciation for the sunburnt country that Dorothy Mackellar so beautifully described. It can be incredibly difficult for city folk to wrap their heads around the idea of wide stretches of land without wi-fi access. It can be difficult to slow down and inhale the dusty air deeply. Young Australians need to be shown the glory of their magnificent country. There is a lot to see and do in these areas, if you know what you seek. We need better education of our health professionals. It should not be an entirely didactic, epidemiological approach. Our students need to know what it is like to be in a remote community. It is useless to give them statistics of poor health outcomes. That just makes the trek to a remote area seem all the more daunting and practice seem all the more difficult. What young doctor or nurse will feel capable of coping in that environment? We need to emphasis the positives in Aboriginal culture. We need to teach as much as local culture as traditions will allow. Students need to know that the traditions in each community may differ immensely and that if they do not feel comfortable in one community, there may be another that will gel with them perfectly just down the road. We need to remove the stereotypes in education that paint every young Aboriginal woman as a teen-mum and every young Aboriginal man as a drunkard begging for change. These messages are fundamentally not true. Moreover, these messages disenfranchise Aboriginal people. They suggest that nothing more can amount from these people than the life we have so terribly boxed them into. Aboriginal people can contribute just as much to our community as any other human being. It was suggested that locals in communities could be trained to do a basic health course externally (say, over the internet if possible or through posted workbooks) to maintain some level of care in communities that may lack professionals. We want to empower communities to take charge of their health without removing locals from important cultural positions. If a certificate of health were to be created, it would have to be designed in a way to engage Aboriginal people. We can’t always take Western systems and hope that a fancy cover and a greater posting distance will provide a solution. We need to have flexible education methods. We need to say goodbye to the white perspective. Sure, it works for some people. It is also not at all perfect. Western methods don’t always work for people who have grown up surrounded by them, let alone for people who come from an incredibly different culture. Let alone for people who feel so disempowered by their government and by the city way of life that they dare not show their pregnant belly to anyone in their own community. We need to say goodbye to our egos. We are not better. We are not that fantastic. Our way of life does not meet life’s Gold standard. We’re just here trying to make the most of every day. And we should be giving that opportunity to other people. There are layers upon layers of problems with the interactions between policy-making and implementation, especially in rural areas. We need to cut through the expletives and get into action. We can do it. Collaboration, communication, mobilisation. Don’t tell me it’s impossible. Every Aboriginal and Torres Strait Islander person living in a rural area should be able to add an apostrophe. I’m possible.